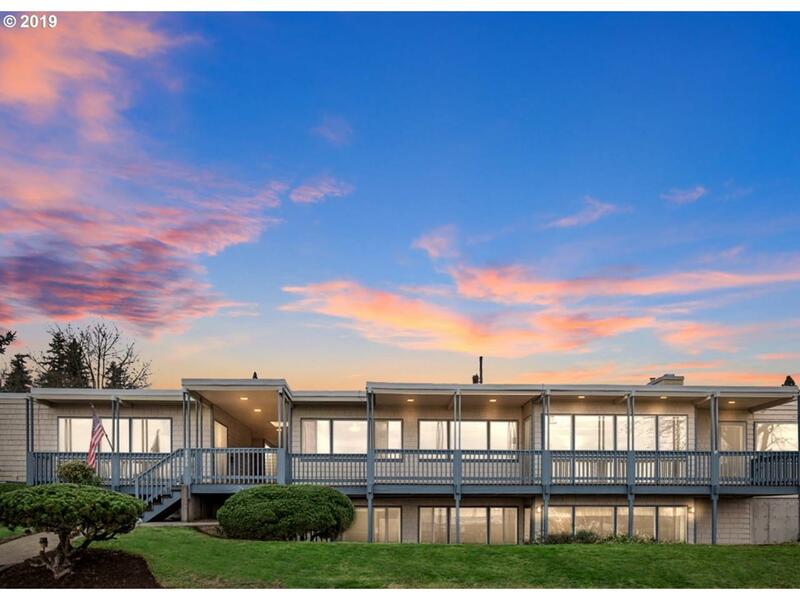 Beautiful Frank Lloyd Wright inspired home w/wrap around deck allows big river, PDX, & city light views. 5 bed/4 bath home on a large corner lot. 4376 sqft home w/finished basement has additional living area downstairs w/own kitchen & living area. Custom mahogany millwork throughout home. Built-ins, fireplace & exposed beams in den and living area. Separate 568sqft 1bed/1ba apartment w/own entry. Prvt courtyard, Workshop & storage.